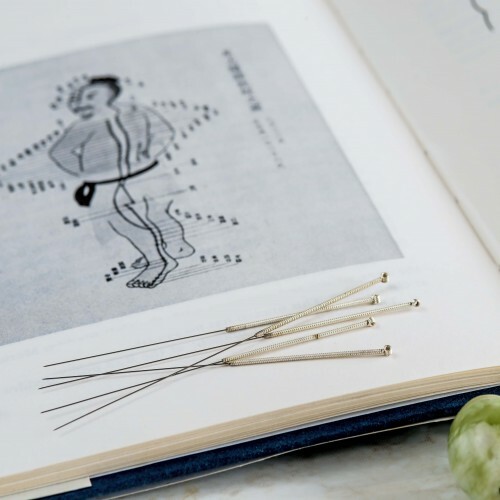 Acupuncture is a form of treatment that has been widely used in China for over 2,500 years. Thin needles are inserted into the body to manipulate and rebalance the flow of energy or Qi (chi) through the meridians (pathways). It has been shown to help post-operative pain in adults (including dental pain), as well as chemotherapy nausea and vomiting. Addiction, stroke rehabilitation, headaches, menstrual cramps, tennis elbow, fibromyalgia, myofascial pain, osteoarthritis, low back pain, carpal tunnel syndrome and asthma have also been shown to respond to acupuncture treatment where it is used as part of a broader management programme. It is commonly used to relieve pain by stimulating the body's natural painkillers.